In a gold mine, what is the difference between genius and talent? This quote came to mind while traveling through Montana and spotting an abandoned gold mine at the edge of the road. Heading toward Old Virginia City, a well preserved 1960’s mining community, this old mine at Alder Gulch deserved a closer look to discover more about the gold and the miners. The gulch was aptly named due to the large number of alder trees that grew along the creek there. Fourteen-Mile City was the name given to the numerous settlements that built up along Alder Gulch after gold was discovered there in 1863 by Bill Fairweather and his party. This gold strike was an accident, which occurred when Fairweather’s Yellowstone bound party got distracted by a band of Crow Indians. After escaping the Indians, gold beyond belief was discovered very near their camping ground. 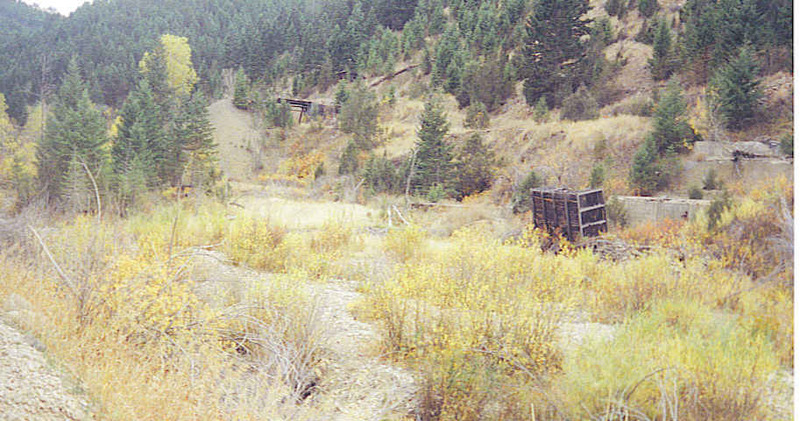 This was said to be the richest placer gold strike in world history with $30 million worth of gold being taken from the mine during the first three years. Now that’s a lot of value even today, but imagine how special that would have been back in the 1860’s. Everyone wanted to strike it rich in the gold field as 10,000 people flooded the area. Most of Montana’s population was right there along the gulch. As miners staked their claims, the first rough buildings of Virginia City were hurriedly built with approximately 5,000 people settling there the first year. People lived in tents and shacks, and it is often said that every third building was a saloon. This was the first social center and early Capitol of the Territory. Virginia City was a booming gold mining town. These settlers were really “sitting on a gold mine”. In the early days, there was no rail service to Virginia City, but it did reach as close as Alder just ten miles away. That made it much easier to receive needed parts for the gold mines’ dredges. 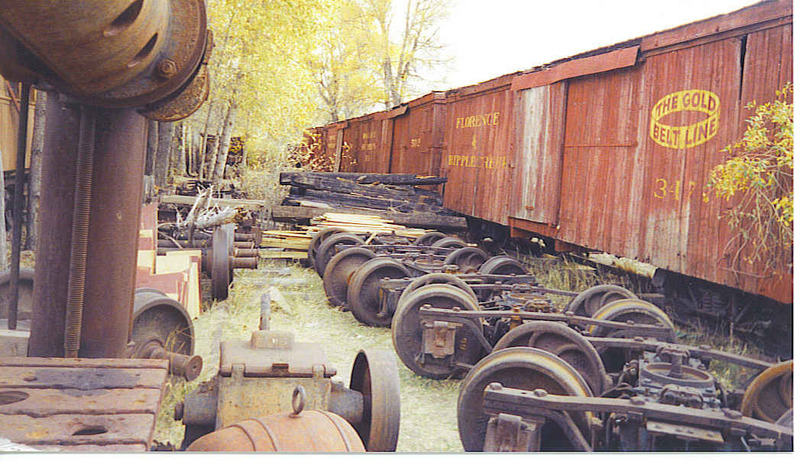 In 1964, history buffs Charlie and Sue Bovey decided to establish the Alder Gulch Short Line using an old Baldwin 1910 locomotive, which looks and sounds authentic. This is indeed a Short Line as it only runs the one and a half mile track between Virginia City and Nevada City. Today Old Virginia City has approximately 150 residents year round. Over one hundred historic buildings complete with artifacts and furnishings are on display – a priceless collection of Western American history. Being a bit of a gypsy myself, had to stop in at the Gypsy Arcade, home of the classic fortuneteller booth – only a couple left in the world! Here the Mills’ Verbal Machine speaks your fortune from one of two wax cylinder recordings on an Edison gramophone…one for women, and one for men. By the way, my fortune said I was going to travel! During your visit, you might even get a chance to ride in a stagecoach or on the Alder Gulch Short Line. There are still a few placer mines and hard rock operations today getting a little gold out of them thar hills, but little compared to that original find. You can even pan for gold yourself at Alder Gulch Gold and keep any you happen to find. Some folks made a fortune here, but what they left behind was priceless. 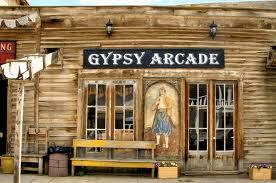 Old Virginia City is located in the southwestern corner of Montana. I-90 and I-15 intersect close by and State Route 287 leads you through Alder Gulch and Old Virginia City. This is a great spot to include on a trip to Yellowstone National Park as it is only about 90 miles away. Enjoy the scenery! Great item. You make it enjoyable and you still care to keep it sensible. I cant wait to read much more from you. This is really a terrific site. Thanks for taking a Gypsy Road Trip. I enjoy writing so everyone can understand and enjoy. It took a while to find a post I had not read, but the hunt was worth it – just as I thought! And you found gold! Searching is not necessary as you are probably about caught up. Thanks for exploring with me. You are very welcome, but I hope there will be more coming. My goal is to publish a Road Trip every week. It usually happens!